Broome County currently has a wealth of programs and services targeted toward older adults that are provided by a variety of community organizations, including the Broome County Office for Aging. 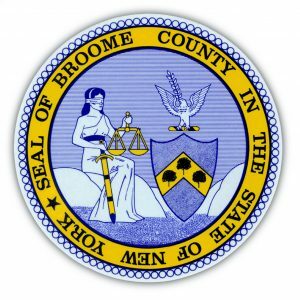 Broome County has a well- known reputation of working with community partners to serve the needs of our older population. Examples of programs and services targeted toward older adults include but are not limited to Meals on Wheels, senior centers, meal programs, transportation, senior housing options, in-home services, health and wellness programs, health insurance counseling, mental health services, home repair programs, friendly visitor programs, shopping services, and extensive information and referral services. We are one of the few New York counties that still offers a local health & wellness option called “Senior Games” – in operation for over 27 years. Broome County Office for Aging is a lead agency for the Broome County Long Term Care Council – a working forum fostering collaborative efforts between a variety of community organizations and consumers. The Broome County Long Term Care Council provides an opportunity to discuss older adults’ needs and service gaps and engage in policy-making processes. Broome County Office for Aging has a close partnership with Binghamton University College of Community and Public Affairs (Department of Social Work, Public Administration and Human Development) and Decker of School of Nursing. Binghamton University students enhance their skills by engaging with older adults through a variety of tasks during their internships at Broome County Office for Aging and at other community agencies. Broome County Office for Aging and other community organizations engage in planning and policy- making tasks with the ultimate goal of assisting older adults with remaining as independent as possible in their homes. Through the community wide needs assessment process we will identify the current needs of our older adults, service gaps and missing age-friendly community features. This information will help define appropriate policies and the development of a comprehensive Action Plan to make Broome County age-friendly.